A half sheet cake, almond flavored, iced with almond flavored buttercream. 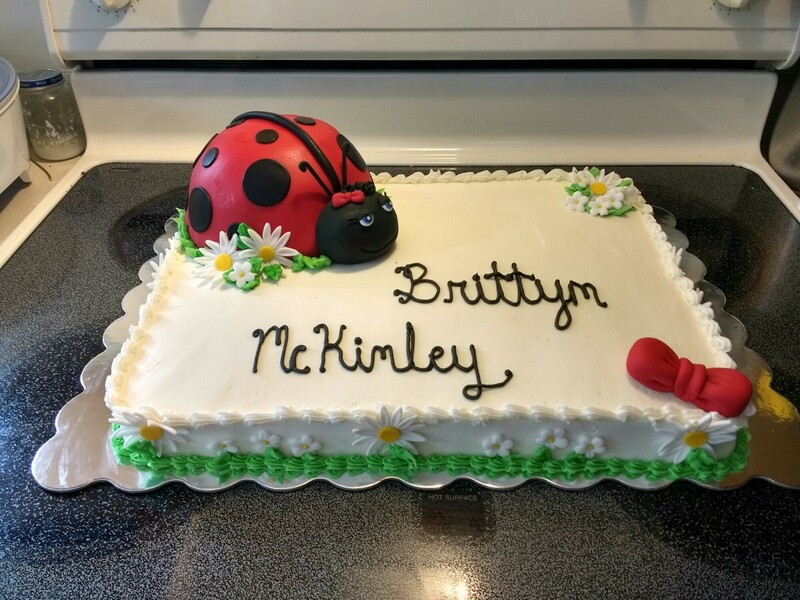 The lady bug is cake as well that is covered in fondant. 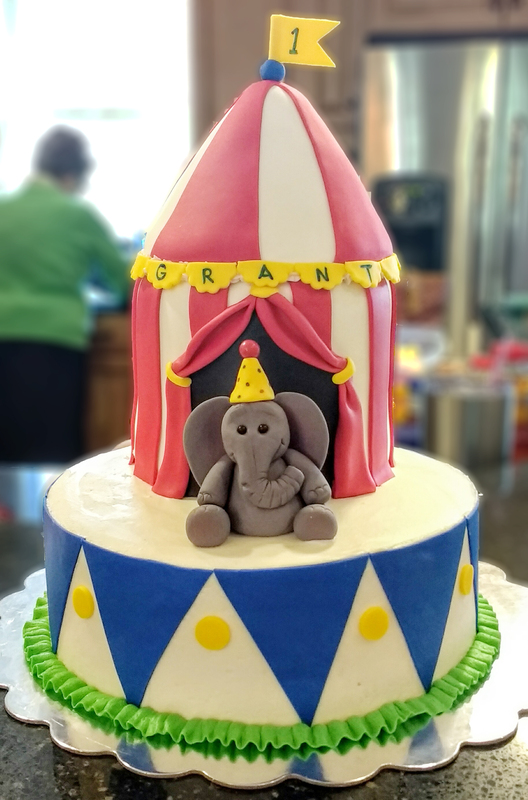 All decorations are hand made from fondant. A 10″ strawberry cake and a 6″ vanilla cake, both iced with vanilla buttercream. 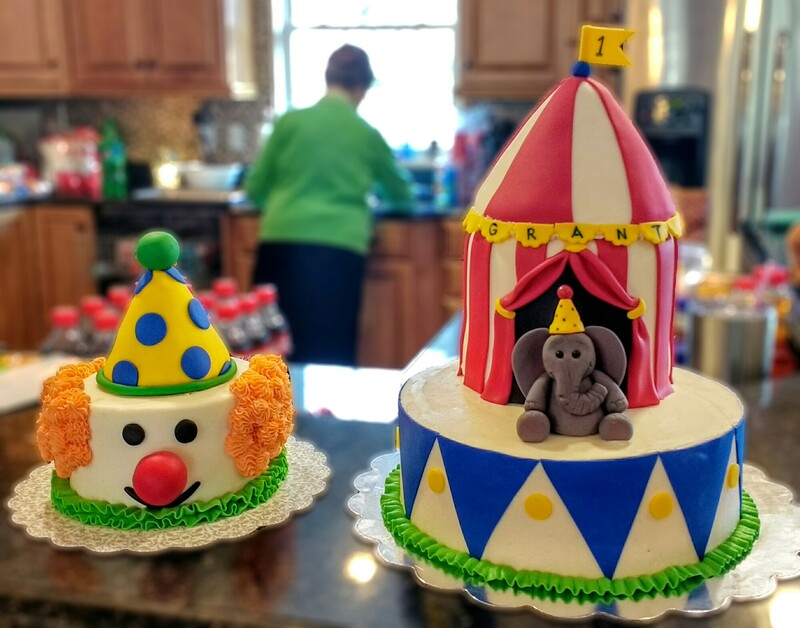 All accents and decorations are handmade from fondant. 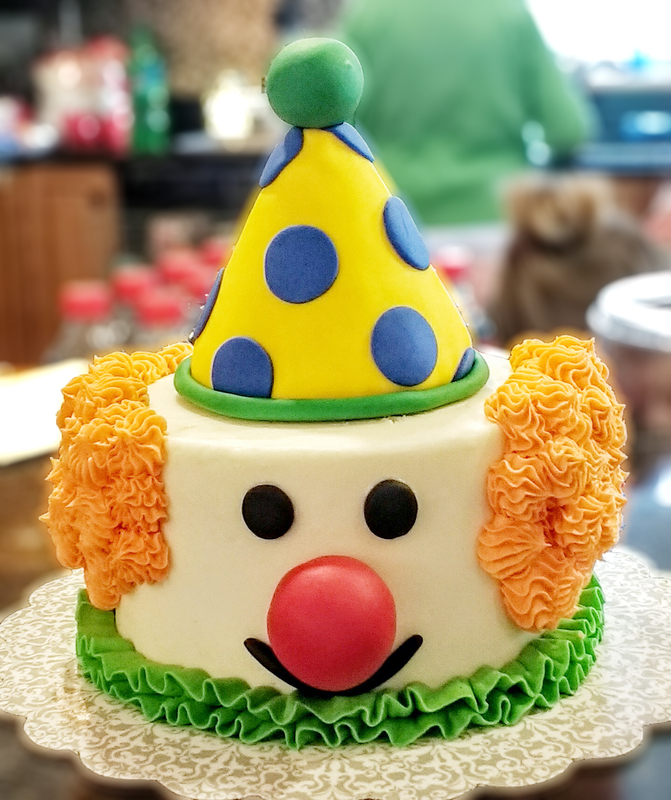 A 6″ vanilla cake iced with vanilla buttercream for the clown smash cake. A boy and his horse! An 8″ vanilla cake iced with vanilla buttercream. 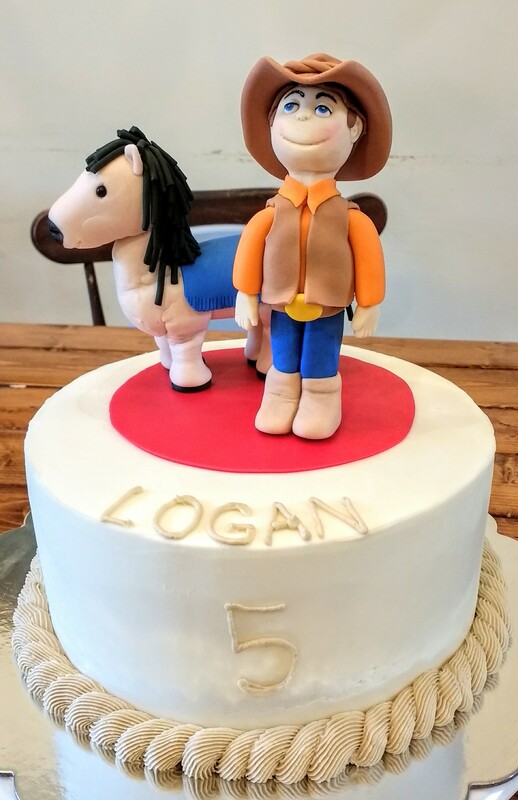 The horse and boy are hand sculpted from fondant.